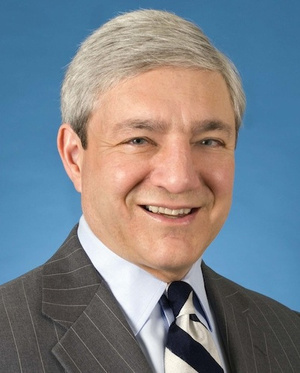 10 appalling revelations against PSU ex-president Graham Spanier | can i just finish my waffle? ← Q and A: Who gave Sandusky office space and Emeritus status at Penn State? Will he be charged? I’d put money on it, and maybe as early as tomorrow. How do I know? Because I just heard on FOX that IF JOE PATERNO WERE ALIVE, he might could be charged. Spanier must have a load of money and some powerful people behind him to try to divert attention from the charges that are coming for him by placing all these distractions in the media. I say “placing” because how else would they get there? It is my belief that these networks broadcast mostly what is submitted to them from PR firms, Media Matters type organizations, et cetera, and a lot of it is designed to divert attention from something else. They play us all for a bunch of suckers. And the media is going to “arrest” a dead man to avoid reporting on the living people responsible for a 20 year cover-up, now thoroughly exposed by the Freeh Report. Now that is dirty. I am copying an article from Deadspin.com laying out the “appalling revelations” against Graham Spanier from the Freeh Report. Testifying to the 2001 grand jury he was unaware of the 1998 investigation against Sandusky, even though emails from 1998 show him discussing the investigation with athletic director Tim Curley and university vice president Gary Schultz. Repeating this claim to the Special Investigative Counsel, and stating he “never heard a report from anyone” that Sandusky was abusing children. Failing to notify the Board of Trustees that an investigation of a prominent assistant football coach was underway, withholding this information from them even while the board was considering (and approving) a favorable land deal between the university and Sandusky’s Second Mile charity. Approving and pushing for Sandusky’s emeritus rank—and the facility access privileges that came along with it— despite Sandusky not qualifying for it by the established academic rules. Telling the Special Investigative Counsel his first knowledge of the 1998 incident came at the April 2011 grand jury appearance, when notes from his Attorney General interview a month prior reveal he was questioned about it then. Approving an unprecedented $168,000 lump-sum retirement payment to Sandusky in 1999. Showing no interest in identifying the child involved in the 2001 incident or ascertaining whether or not a crime had occurred. Opposing any and all independent investigations into Sandusky’s behavior. Modifying the November 2011 Board of Trustees statement without their knowledge or approval, asserting that Curley and Schultz requested administrative leave rather than that the board had decided to place them on leave. Update: In a recent blurb on FOX, they seem to have dropped the if Paterno were alive narrative (I hope) and they named all four of the people specifically named in the Freeh Report, being: Spanier, Schultz, Curley, and Paterno. Oops, I was wrong. It was HLN, not FOX, I was watching that named all four. Posted: 07.13.12 A.D. @11:57 p.m. Updated @ 1:07 p.m.